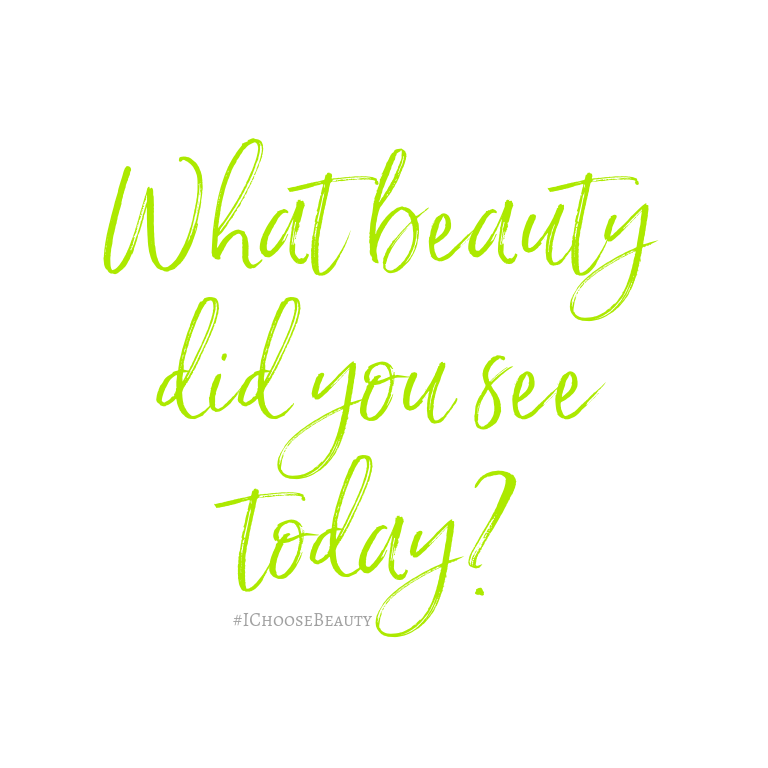 Let’s go back to the basics of I Choose Beauty with this reminder to look for beauty every day. Remember, beauty can be: Something you see, feel, hear, smell, taste, read, think, remember. It can be something big that happened that makes you want to jump up and down and tell the whole world, or something small that you notice for the first time. Anything that makes you smile, laugh, feel good – if even for a moment. To see more beauty in your life, take the #ICHOOSEBEAUTY Challenge. It’s 30 days of guided beauty treasure hunts to help you find happiness wherever you are. And I’ll be there to support you every step of your journey.